On Sale Now! Save 3% on the Kraus KEA-14437BN Aura Bathroom Accessories - Towel Bar 600mm Brushed Nickel by Kraus at Oakdale CC. MPN: KEA-14437BN. Hurry! Limited time offer. Offer valid only while supplies last. Kraus bathroom accessories combine substance with style. The sleek shape and clean lines of the towel bar complement a variety of decor styles. Kraus bathroom accessories combine substance with style. The sleek shape and clean lines of the towel bar complement a variety of decor styles. Choose from two distinctive finishes to create the perfect finishing touch for your bathroom. 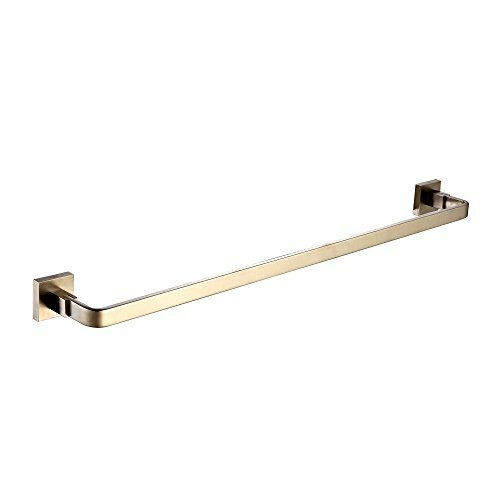 ;Benefits & Features-Lead-Free Solid Brass Construction;Sleek Design Coordinates with a Variety of Decor Styles;Easy-to-Clean Finish is Corrosion & Rust-Resistant;All Mounting Hardware Included for Easy Installation;Limited Lifetime Warranty;Length: 2.9 in. ;Width: 23.6 in. ;Height: 1.6 in. .